The streaming devices can be disabled or removed from the string of media devices. The process of disabling the streaming devices varies for different systems. Most of the applications allow you to disable the streaming devices within their settings. Press Enter and click on the Media Streaming option. Select the All networks drop-down menu. Select Choose media streaming options to view all the devices on the local network. Select the Block All box and click on the streaming device you want to disable. Click on the Remove link and select Remove the device to approve its removal. Proceed with the same steps to remove all the streaming devices. After disabling, click on the OK option. In Windows 10: In Windows, open the Control Panel. Open the Streaming Media options and click Block All option. Tap OK to disable the streaming device. The procedure to disable a Streaming Device from your mobile device (iPhone or iPad) is given below. Download the Google Home application on your iPhone or iPad. After downloading, install the app on your mobile. Ensure that your mobile device is connected to your streaming device. Pair the Chromecast and iPad or iPhone using Google Home. Open the Boomerang app and launch it. A Chromecast icon appears on the upper right corner of your mobile screen. Click on the icon and select your streaming device from the pop-up menu. To disable the streaming device, click on the same Chromecast icon. Select the Stop Casting option from the pop-up menu. After the casting is stopped, the future video selections will not play until you re-enable the streaming device. The following are the steps to disable a Streaming Device (Chromecast) from an Android phone. There are no switches that are physically available on any of the streaming devices. The only way is to disable the streaming device from a phone. The steps to disable the device are listed below. You can directly disconnect the cable from your High-Definition Television or electrical outlet to turn OFF the device. The disabling option must be done in order to maintain the durability and performance of the streaming device. Turn OFF the HD TV to which you have connected the streaming device. The Chromecast will now go to the standby mode. 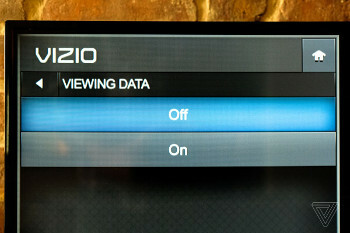 You can also select any other input on your TV to enter the standby mode. Choose the Chromecast icon on your Android phone through which you are controlling the media content. Touch the Stop Casting or Disconnect option. The following instructions are provided on how to disable a Streaming Device on Youtube through a linked code. To disable the streaming device on Youtube, a code is needed that appears on the TV screen. On TV: Install the Youtube application on your TV. Click on Settings and go to the Link TV and Phone screen. Scroll down and click on Link with TV. A blue TV code appears on the TV screen. To disable the streaming device on your TV, open the Youtube app and click Settings. Select Link TV and Phone screen. Scroll down and click Delete Devices. From mobile: Open the Youtube app on your phone or tablet. Select Watch on TV and touch ENTER TV CODE. Enter the code that appeared on your phone or tablet. To remove the device on the phone or tablet, navigate to the Watch on TV option in the menu. Click Delete Devices and touch DELETE to remove the linked streaming device. The procedure to disable the screensaver of your WWD TV Live Hub or WD TV Live Streaming is provided. Turn ON the WD TV Live device. Make use of the arrow buttons present on your TV remote to navigate to the pink or purple Setup option available in the menu. Hit the Enter option on your remote after it is highlighted. Click Appearance and press the Enter button on your TV remote. Highlight the Screensaver Delay option and press Enter button on your remote again. Click on the appropriate option you want to use. Click on the Never option to disable the screensaver. You can also choose how many minutes you want to disable the screensaver. Press the Enter button on the remote to disable the screensaver. The network notifications of the Chromecast streaming device that appear on your Android phone allows the user to control the playback even if he/she did not initiate it. These notifications can be disabled so that they do not mess with the video or audio you are watching or listening. Open the Google Home application on your Android device. Touch the Devices option present in the top right-hand corner of the mobile screen. Scroll through the list of streaming devices until you find the device in which you want to disable or stop the notifications. Tap on the menu button of your streaming device. Turn OFF others control your casted media under the Device Info to stop receiving the notifications. The second method is to open the Settings app on your mobile. Tap the Google option present under the Personal section. Touch Cast media control option. Turn the slider to OFF position to disable the notifications.